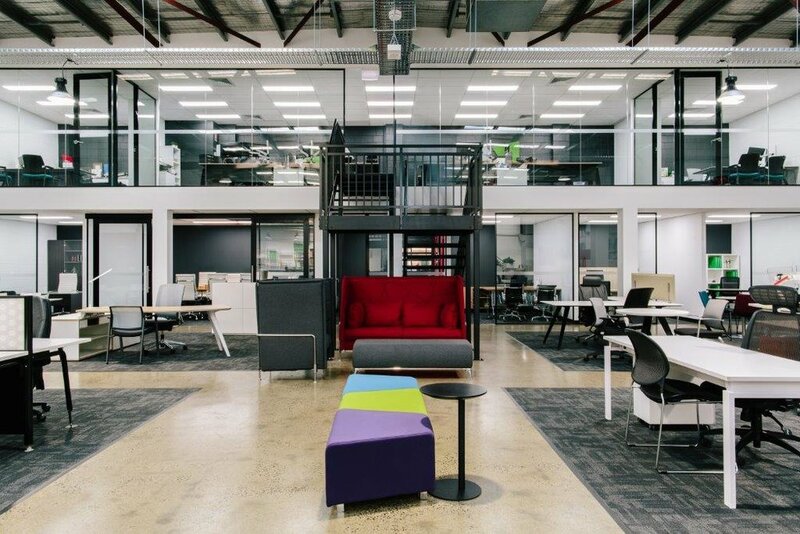 When working in a relatively small space, you have to think big in terms of design and creative techniques to ensure a healthy and ergonomic environment is established. 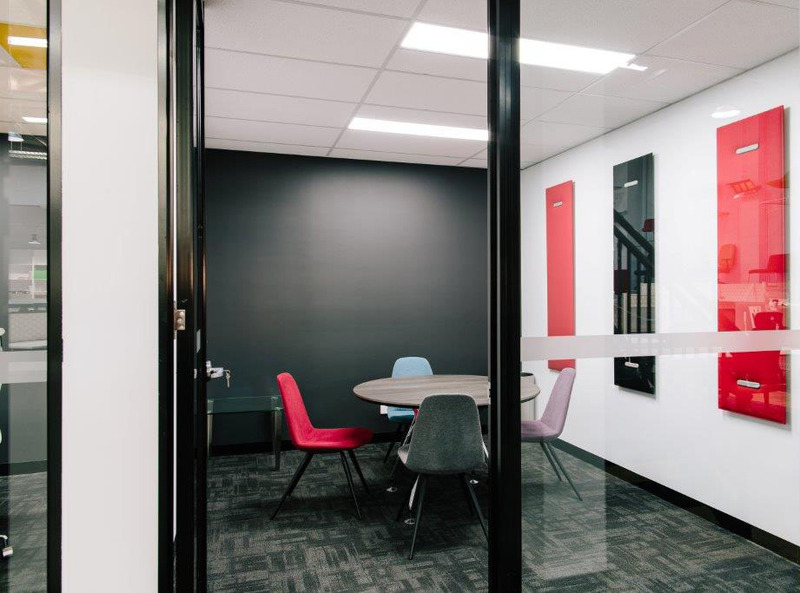 Small scale offices can be discouraging and hinder productivity if the space is not maximised to its full potential. Pick The Right Furniture: Switch to slim streamlined furniture to visually and physically create more space. 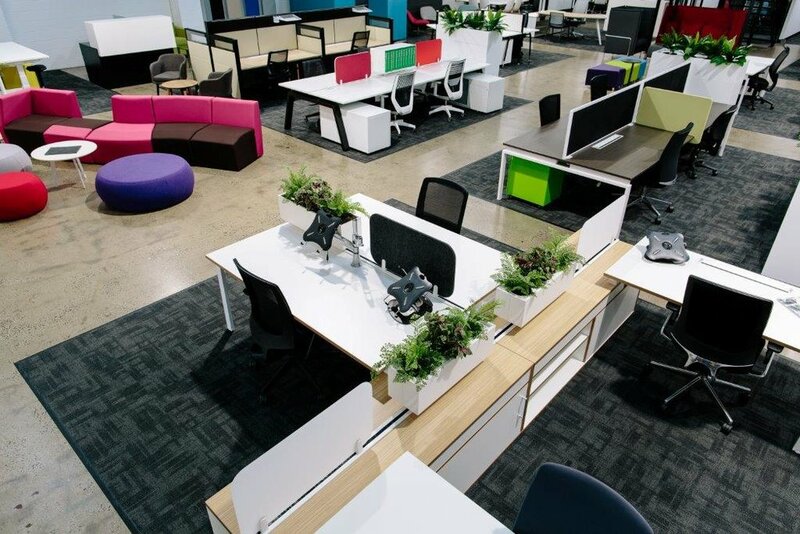 By measuring your office, workstations and desks can be customised to size to ensure every need is met. 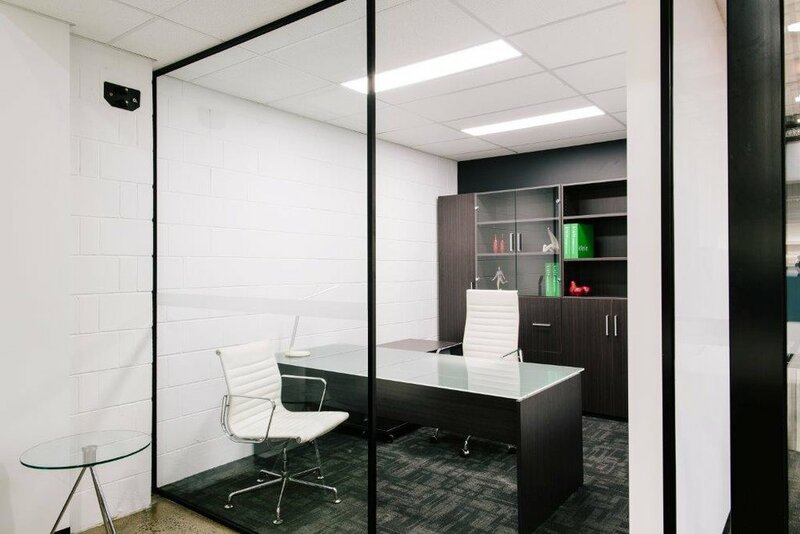 Define areas or zones within a small office by amalgamating workstations with partitions to avoid disturbing the flow of the space and feeling boxed in. Choose a Layout For Your Function: Assess the space by measuring the dimensions of each room to to work out the limitations and best configuration. Collaborate with one of our sales executives for a free on site consultation. Smart Storage: Think vertically in storage by incorporating wall mounted shelves and cupboards into the office to alleviate floor space. 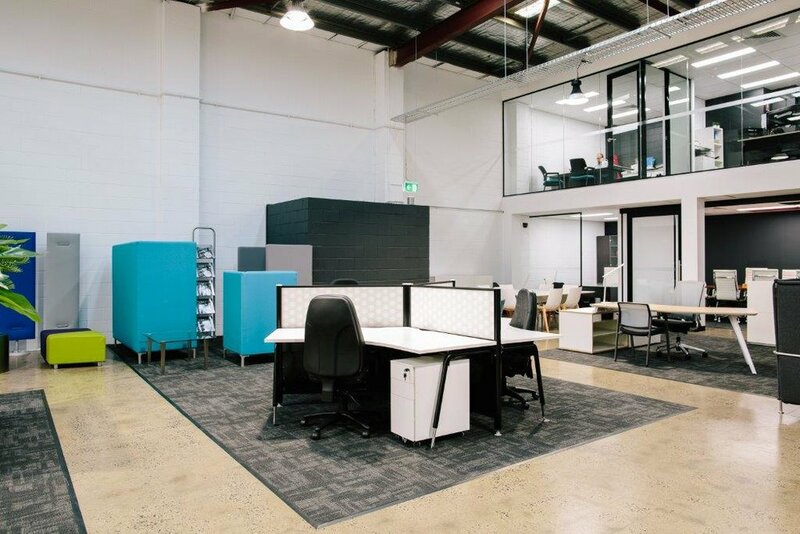 Custom-made storage considers your spatial requirements and are manufactured to fit the office’s proportions perfectly. For non-invasive storage, under desk drawers and pedestals utilises ordinarily wasted space. Alternate storage solutions include our Trak System which allows for storage boxes to be mounted above desk - eliminating clutter. Switch To Digital: In an age where cloud based computing has become integrated into most businesses, storing documents and files in hard form has become less relied upon. 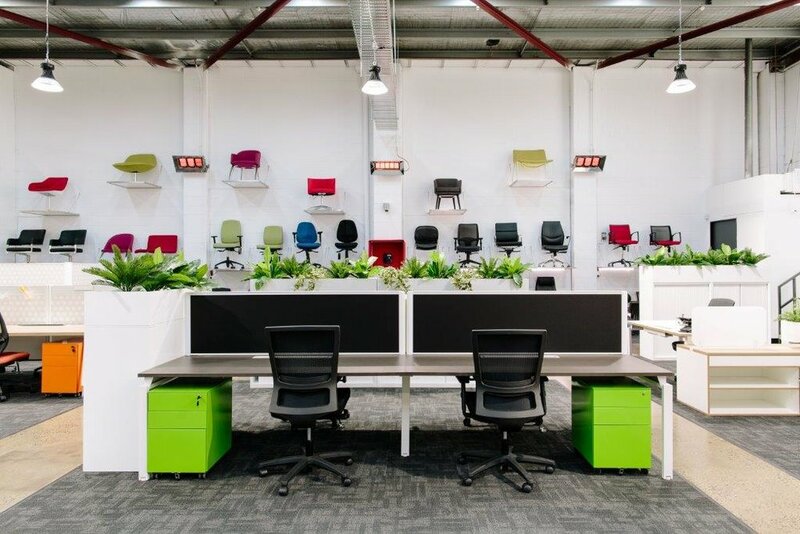 This reduces the amount of large filing systems needed which take up office space. Limiting the use of paper also decreases clutter, aiding in a smooth and productive workplace. 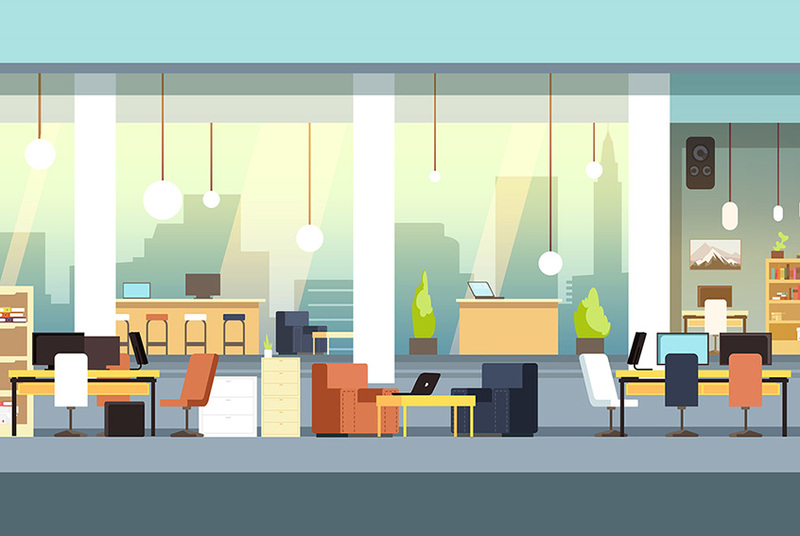 Decorate To Your Advantage: The way an office is decorated can have a big impact on how small the space will feel. By keeping decorations to a minimum allows surfaces to be used to a maximum. Avoid dark colours and busy prints and incorporate light and neutral tones to create a sense of space. With a trend in office plants, introducing greenery alludes to a bigger office while also adding character. 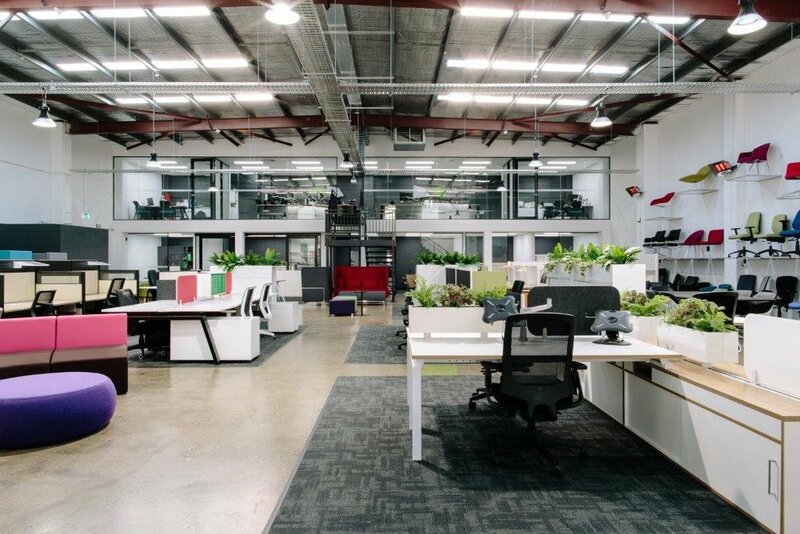 As mentioned above our Trak System also allows for planter boxes to be mounted above workstations for a simple and minimal solution to decorate.